The 3000 Series range are reliable, well-proven with a low maintenance design and are competitively priced. The 3000E Series models are protected to IP67. Reliable, well-proven, low maintenance design, competitively priced. Detects low flow or flow failure in chemical pipelines. Suitable for continuous or pulsed flow. 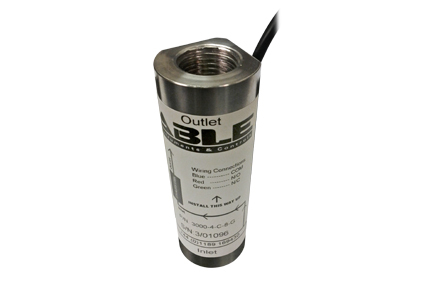 Detects rates of flow down to 0.05l/hr on standard models. Normal flow capacities in excess of 12,000l/hr. Reed switch operation ensures long working life. Normally open or changeover versions available. Volt free operation of the reed switch means no further electronics are required to obtain a signal and all models can be used in conjunction with computers or PLC’s. Two versions available, flying lead or enclosed cable termination. Available in plastics or stainless steel with various process connections. All models adjustable on site for changes in flow or viscosity. Protection to IP67 on 3000E models.